Are your kids at the questioning age? And...you don't want them to ruin the fantasy for younger siblings? 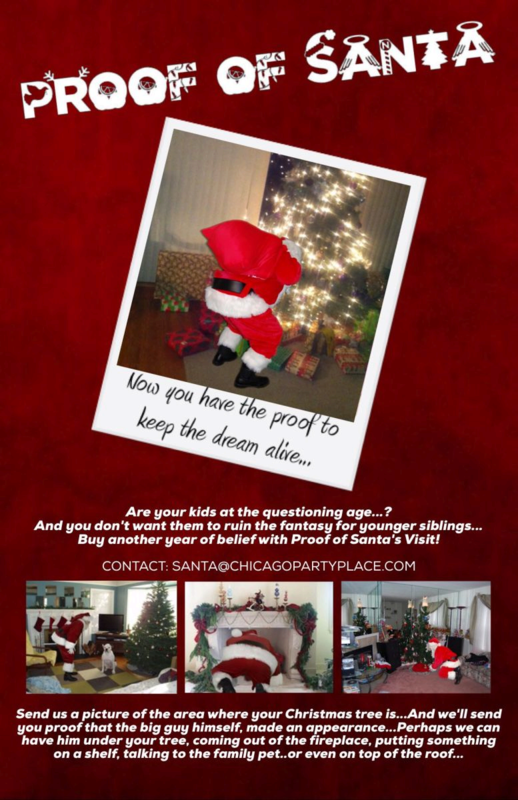 Buy another year of belief with Proof of Santa's visit! Just send us a few pictures of your Christmas setup. (Try to take multiple shots as one picture may work better than the others). Make payment here...When you receive the picture from us, tell the kids you setup an app on your phone to detect motion and snap a picture. It's just that easy. Imagine the faces you'll see when they see the Big guy was actually in their home.